Erin Bradley Designs: SHOP NEWS! New way to search for your goodies! SHOP NEWS! New way to search for your goodies! Now that I have a bit more clipart to sort through I didn't like that things weren't grouped together well and you'd have to search through all the clipart pages to get to what you are looking for. Hopefully the search by theme link will help with that issue! 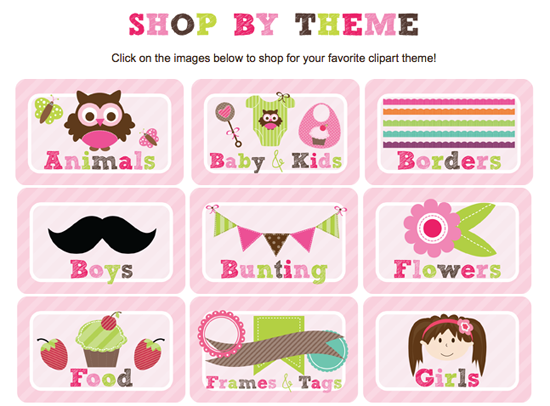 You can find it here: Shop by Theme and you can also get to it by clicking on the main clipart page (the link is in the text at the top).